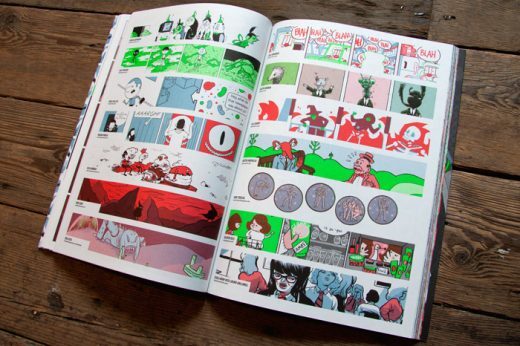 This past weekend, MoCCA (Museum of Comic and Cartoon Art) teamed up with the Society of Illustrators at the 69th Regiment Armory for the 12th annual MoCCA Fest — a convention with artist booths and panel discussions celebrating the work of both amateur and established comic artists alike. Crooked political machines, race-tinged violence, rampant disease, and a gross disparity of wealth: just another day in Five Points in 1853. 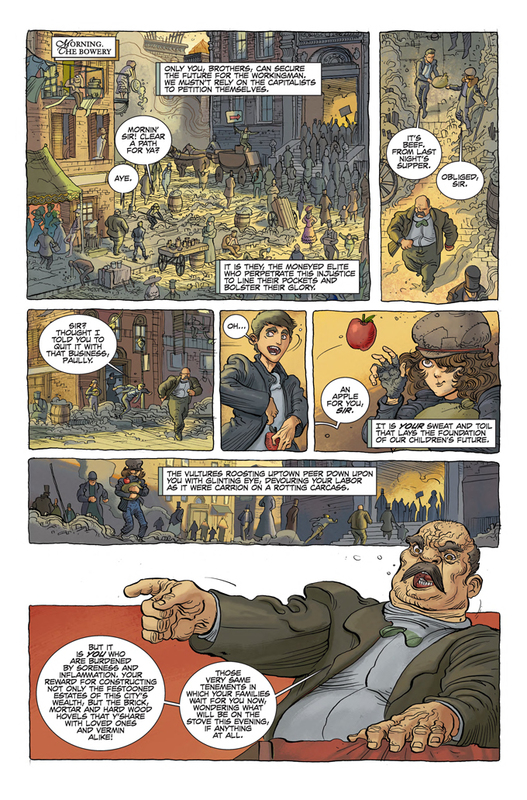 “Bowery Boys,” a new comic written by Marvel editor Cory Levine, inked by South Williamsburg resident Ian Bertram, and colored by Rodrigo Aviles, brings the dirtiest, bloodiest corner of 19th-century Manhattan back to life. The story follows a father and son through the Lower East Side as they brace for an impending labor strike, and is being released for free online in serial format at three pages a week. We caught up with author Cory Levine to talk about online publishing, “Gangs of New York,” and the ends of the subway lines.